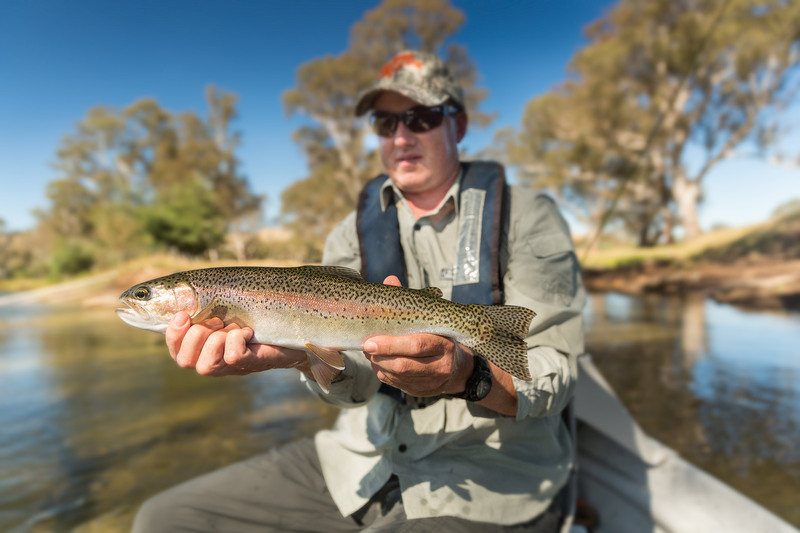 What a month it has been up here on the Goulburn. 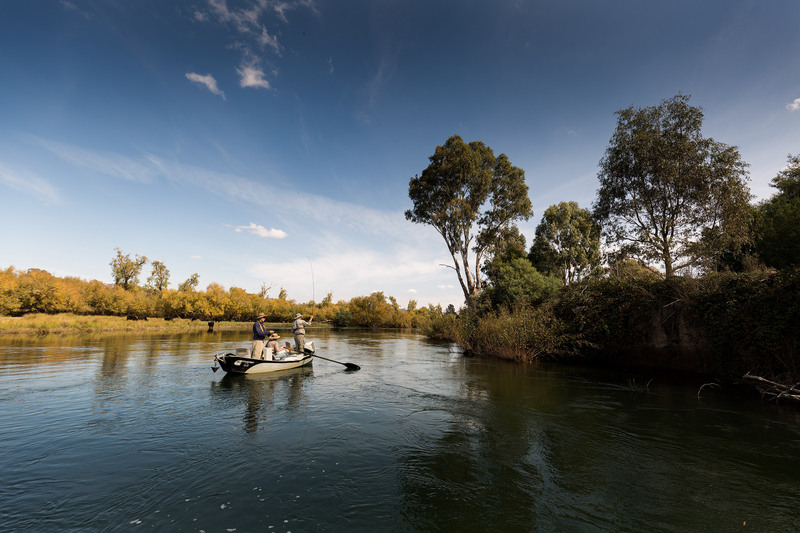 A month marked by huge releases of water for irrigation downstream in the food bowl around Shepparton, and also for the soaring water temperatures in the smaller streams. 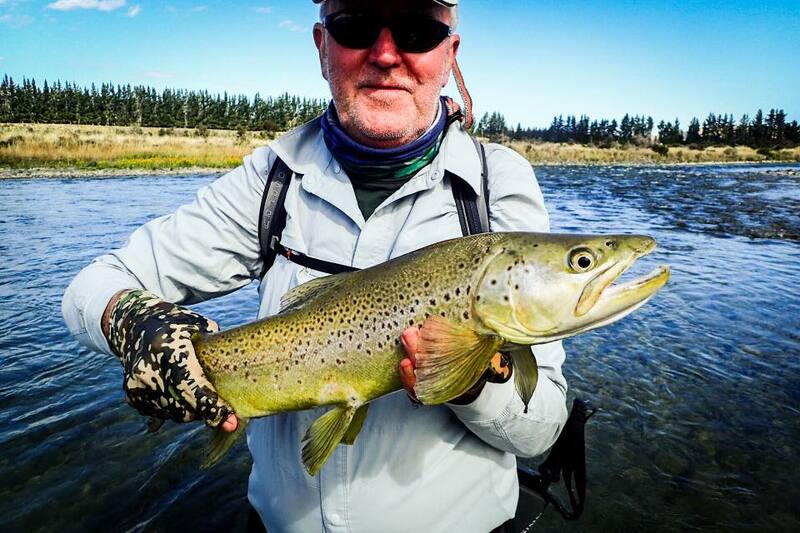 It’s very much been a case of being caught between a rock and a hard place for visiting, and local fly fishers alike. 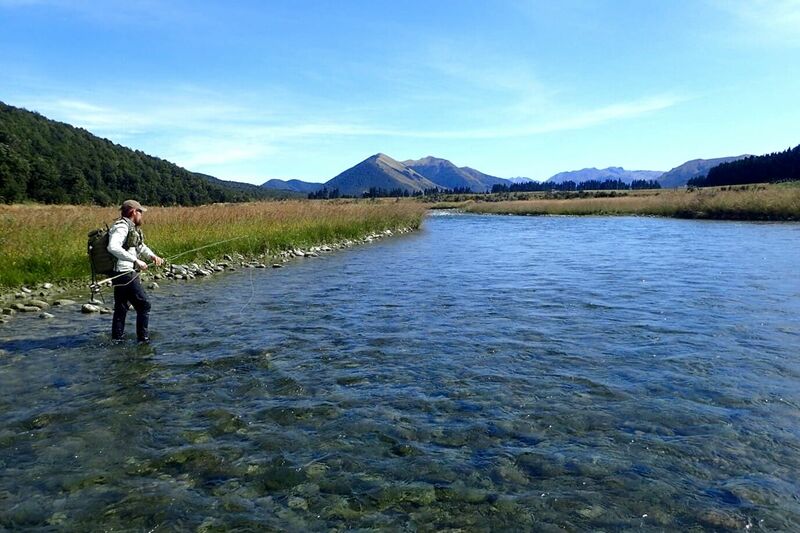 Firstly, lets look at the smaller rivers. Usually the salvation for those who shy away from the Goulburn when it gets up to levels that preclude wading and safe crossing of the river. These small rivers have been crappola. 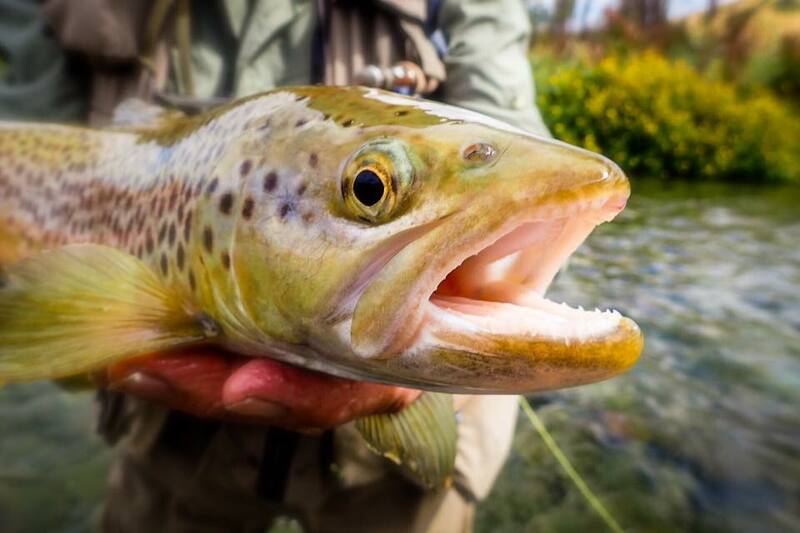 We all know that trout are a cold water, high metabolism fish. 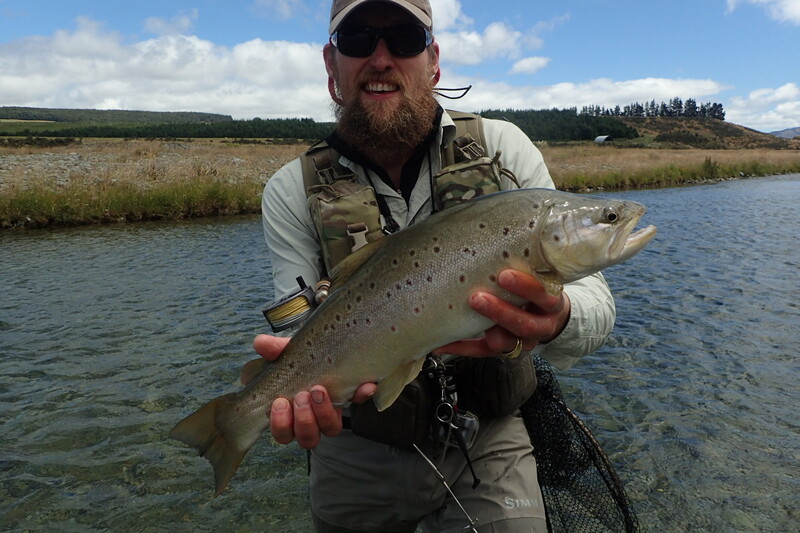 When we see consistent, warm water with temperatures in the low 20c, trout simply shut down and try to ride out the short heatwaves that they have evolved to cope with in the places where they come from. When we see water temps like what we’ve experienced the past three weeks; it goes well beyond that. 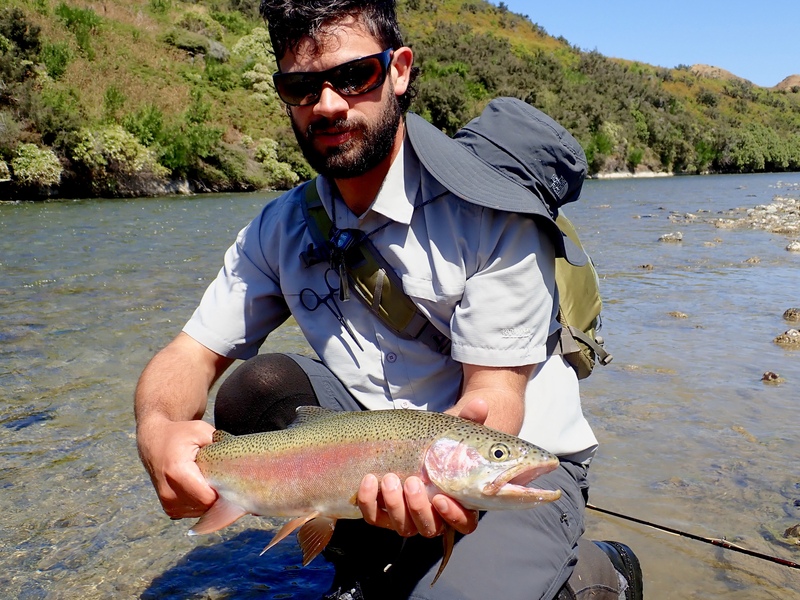 Many rivers across Victoria’s north central and north eastern districts, as well as the Snowy Mountains; essentially the best trout waters on the mainland, are at severe risk of fish kills. 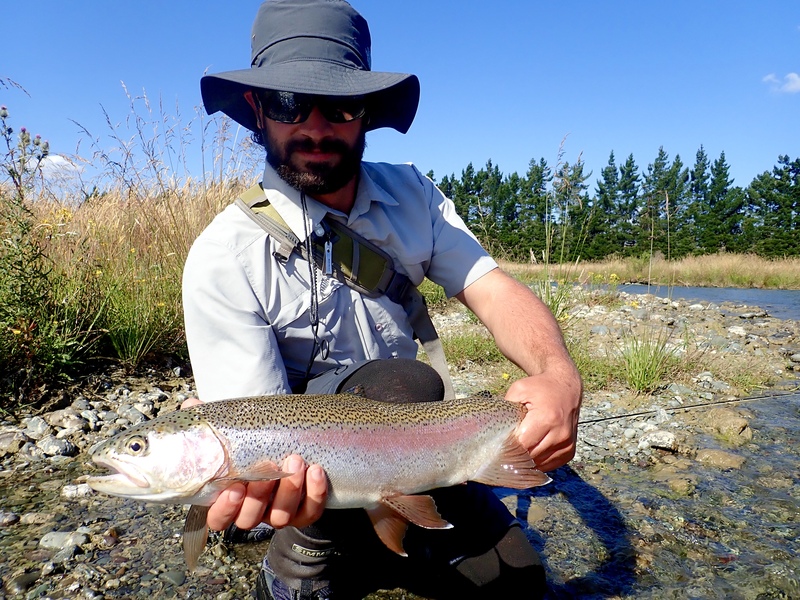 Water temps of 24-25c, temperatures which if experienced for extended periods of time, will kill trout; have been common for the past 3-4 weeks. 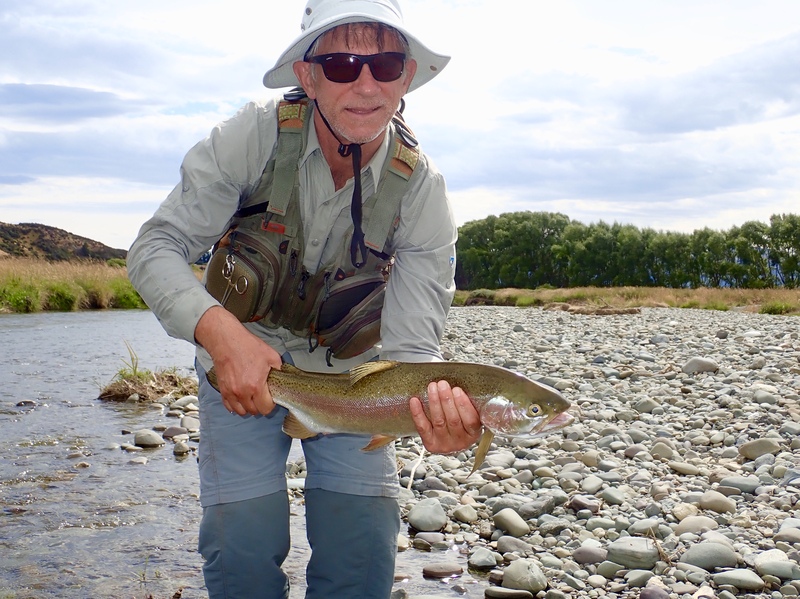 As a result, the fishing has been very poor and for the most part, we have avoided these creeks completely, other than in the past few days when we have seen a significant, bit most likely short-lived cooling. You only have to drive across the region at the moment, from Thornton to Bright to Corryong and beyond. 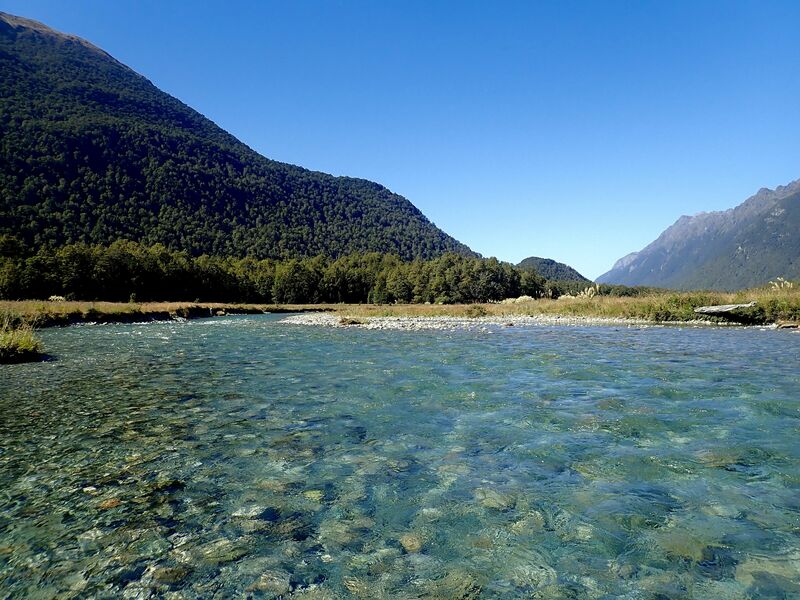 The rivers are mostly a series of shallow pools interconnected by barely submerged riffles. There are some tightly guarded exceptions to this comment; but they are few and far between and mostly out of reach due to the those in the know keeping tight-lipped about them. It really is tough, and I would be leaving most of the smaller streams alone until we get a good run of cooler overnight temperatures in March. 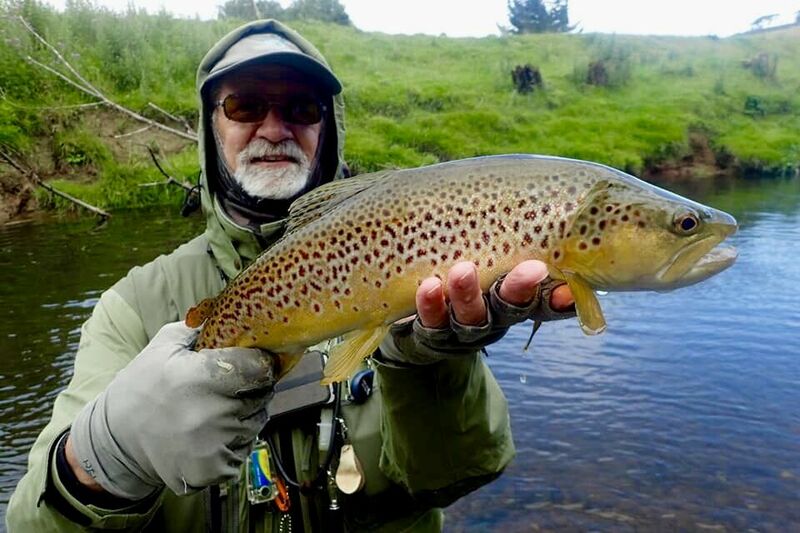 If you are going to fish them, the only real time to be out there is from first light until mid-late morning, when overnight air temperatures drop and the water does slightly too. 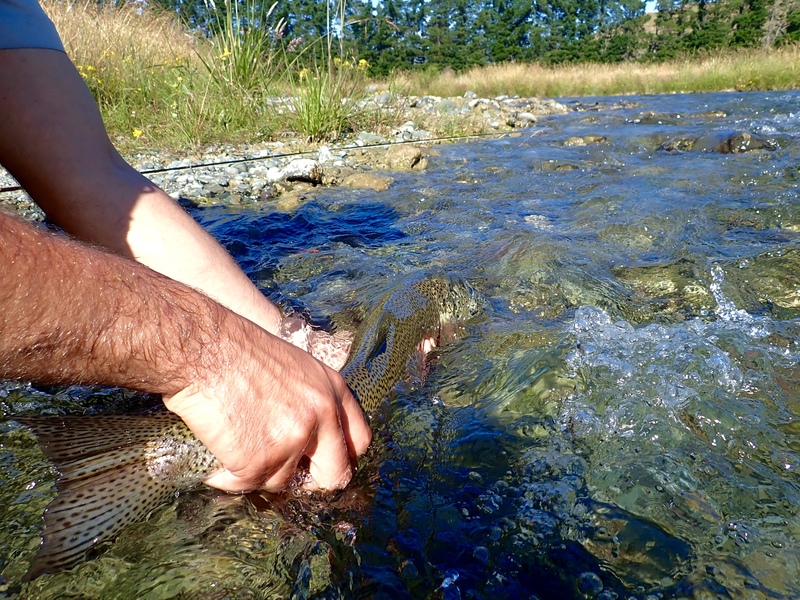 Hence, it is my view that it’s best to just leave those fish alone until we see a significant and sustained cooling of water temperatures. In other parts of the world, Fisheries managers will put restrictions in place to protect heat-stressed fish. As an example, in some years we see what are known as ‘Hoot Owl’ closures in Montana. 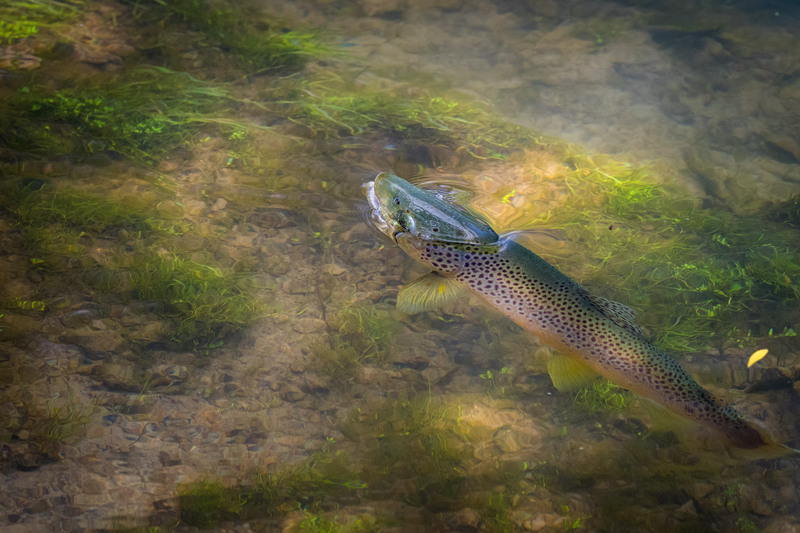 Essentially it is a temporary restriction of fishing that is imposed on a river/s to protect trout that are heat-stressed. 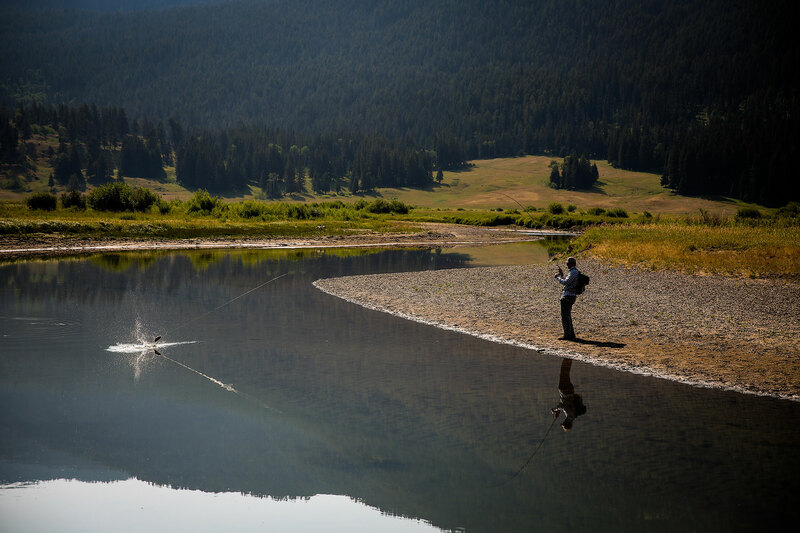 In the case of Hoot Owl restrictions it will restrict fishing to certain hours of the day, with the most common being the allowing of fishing from midnight to 2pm. 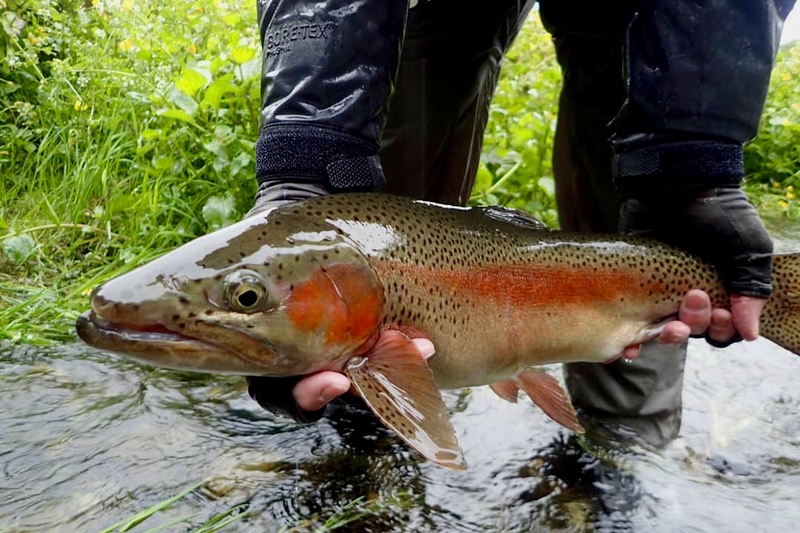 At other times, it could be a 24×7 restriction until the conditions ease and water temperatures return to within the tolerable range of the fish. 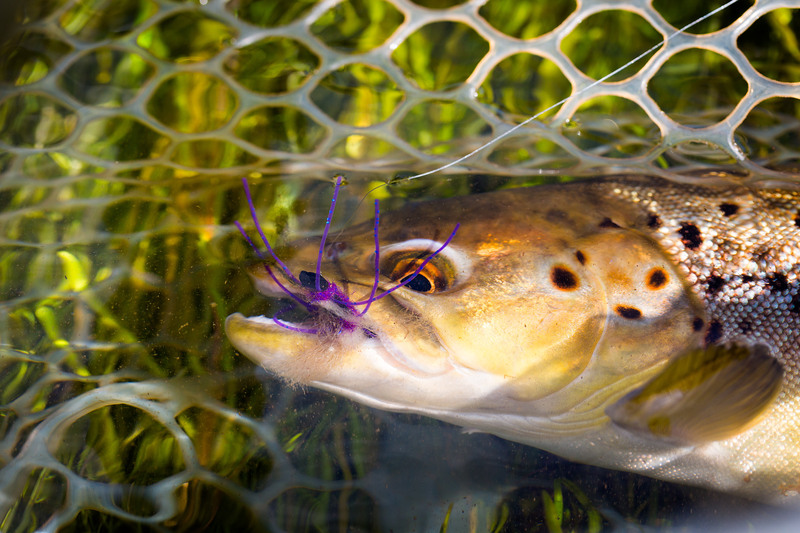 Click here to learn more about Hoot Owl closures. 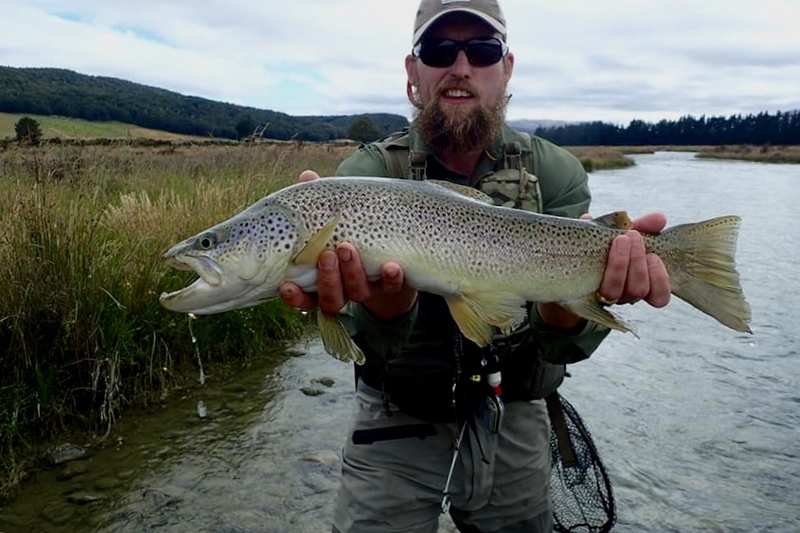 Unfortunately we do not have a very pro-active Fisheries Department when it comes to issues such as this. 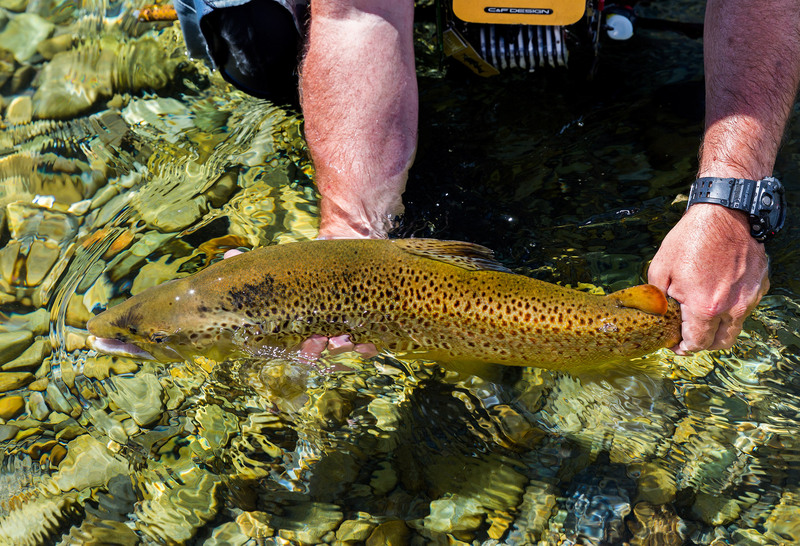 As such, the best outcome we can hope for is for people to choose to leave the most heat-affected rivers alone at the times when our trout are stressed. This makes complete sense and is in both the fish and the fisherman’s best interest, both short and long term. 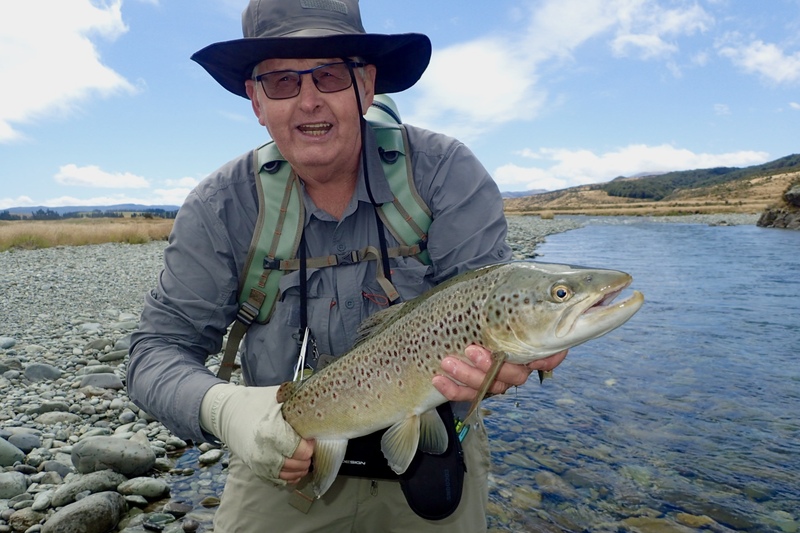 Long term of course because if you fish and catch heat-stressed fish, the chance that they will die as a result of being caught/handled is significant. In the short term though, it also means that most fish will be sitting ‘doggo’ and not feeding. 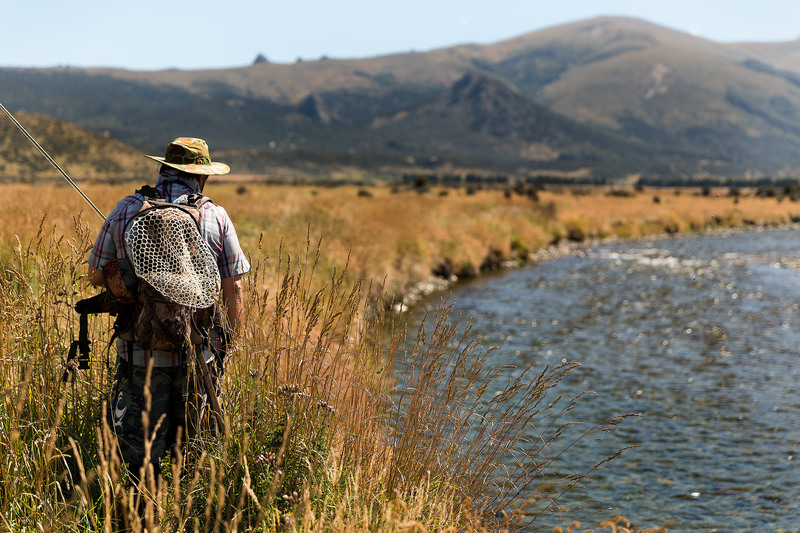 Hence, it is a waste of precious leisure time fishing to fish that most likely will not be feeding. My advice. 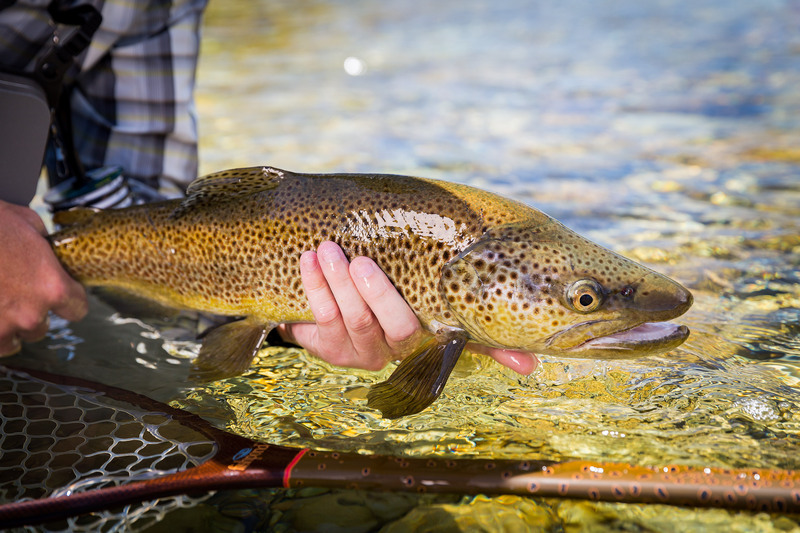 Fish early during these cooler weather spells and leave the water by noon. Or even better. 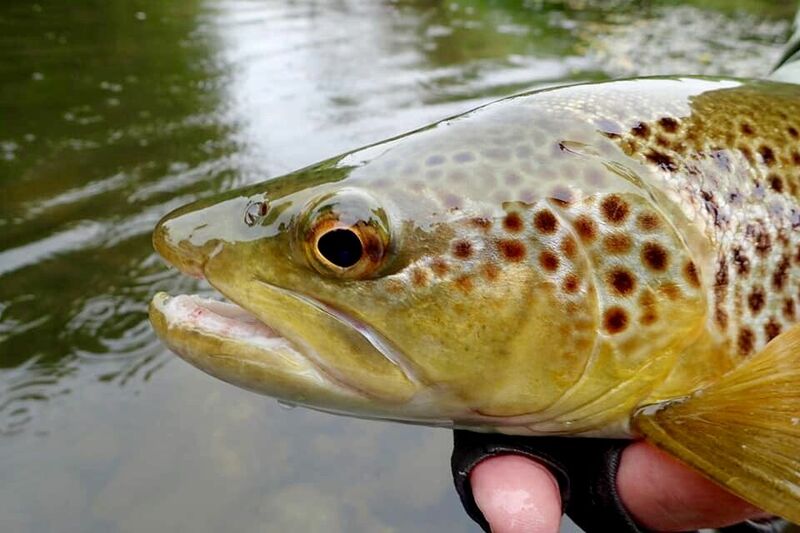 Accrue valuable brownie points by feigning interest in Valentine’s Day, painting the house, attending family events you would usually prefer to avoid and anything else that will make you the ‘good guy/gal’ so that you can fish in Autumn when the fishing returns to normal. Just my 2c. 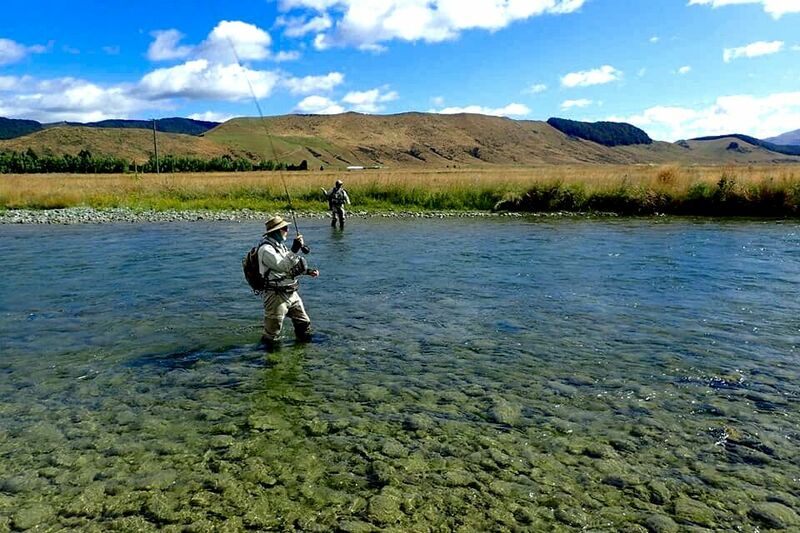 And we will keep you posted as to when we start getting decent fishing on the smaller creeks. 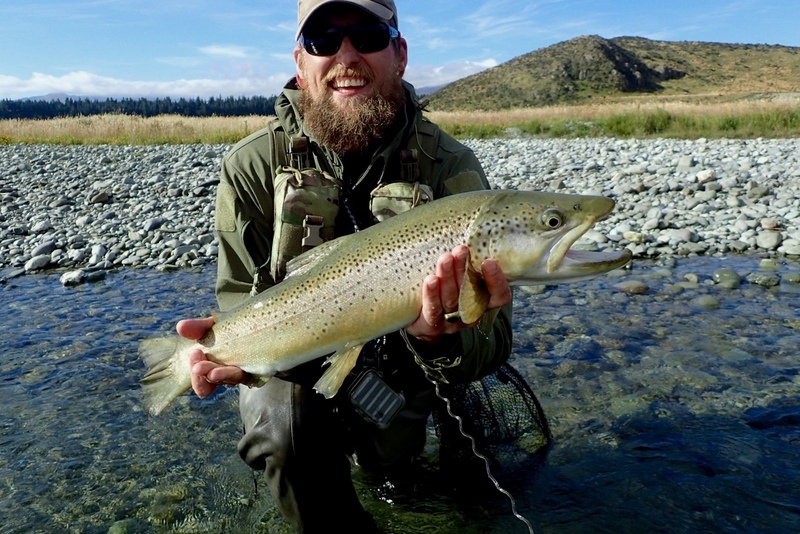 This is the reason that we’ve seen such a significant increase in interest in our New Zealand trips this summer. 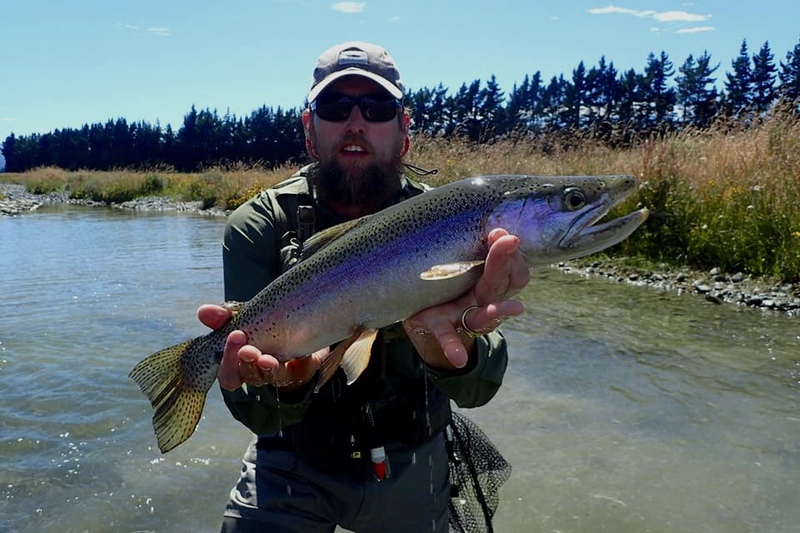 A great summer of fishing over there versus a terrible one back in Australia, is driving more people to head across the ditch in search of quality fishing opportunities with cooler weather. We’ve had to adjust to this demand as a business, scheduling more guided trips there to keep pace with people’s needs. 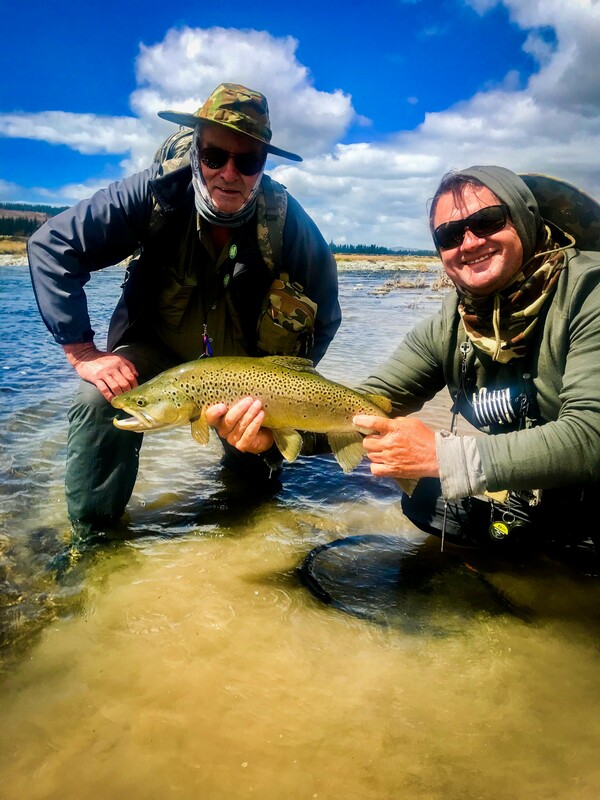 We recently added two more guides, Lachie and mois, so at this point in time we can look after another pair of anglers in both the weeks of MAR 3-10 and 10-17. You can see some pics from recent trips down below. The Goulburn is the only game in town right now in terms of places with cold water. 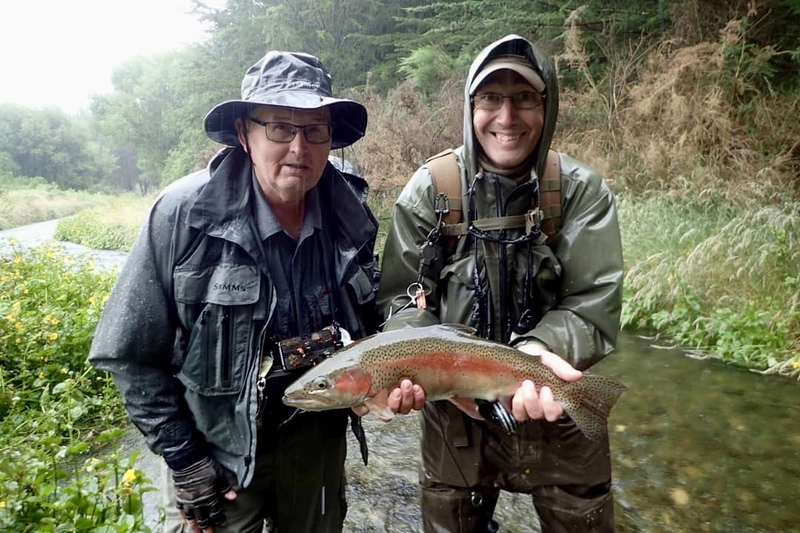 The usual 10-11 degree water being released from the depths of Lake Eildon is perfect for trout, but you wouldn’t necessarily know it as the trout have been few and far between. 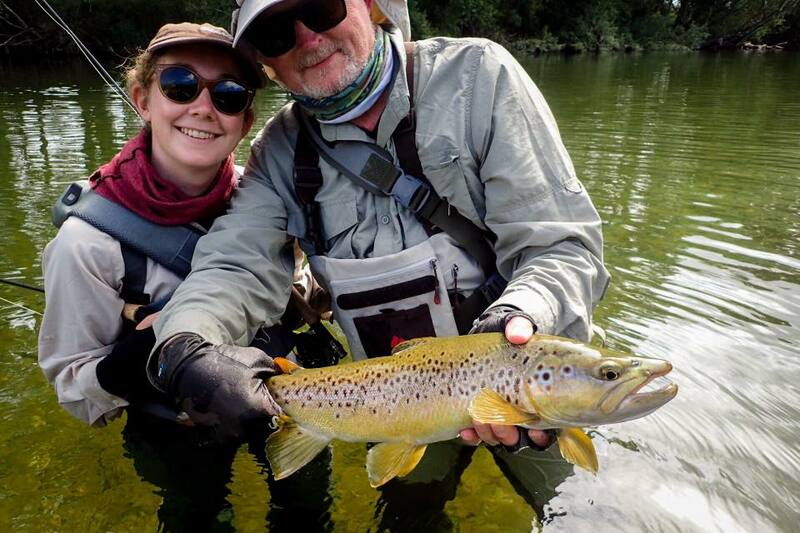 For the record I am on the river drifting with clients at least six out of seven days each week. 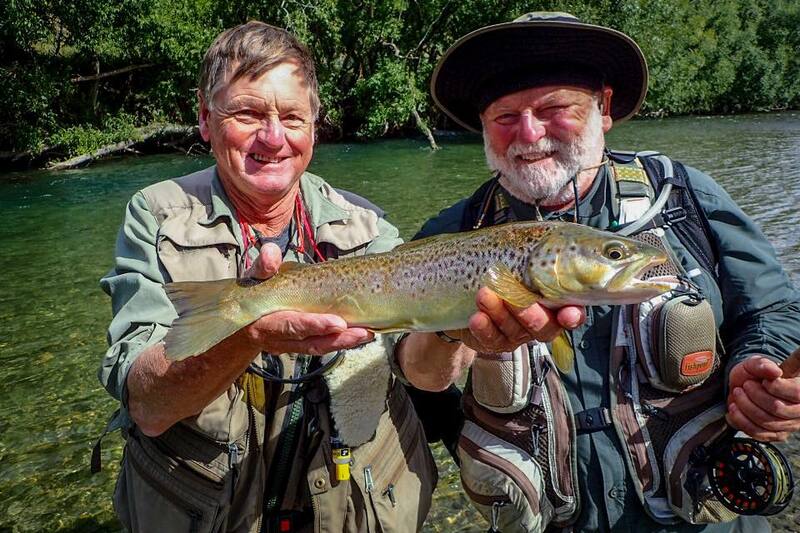 On top of that we have guided here for nearly two and half decades with three guides out most days during that time. 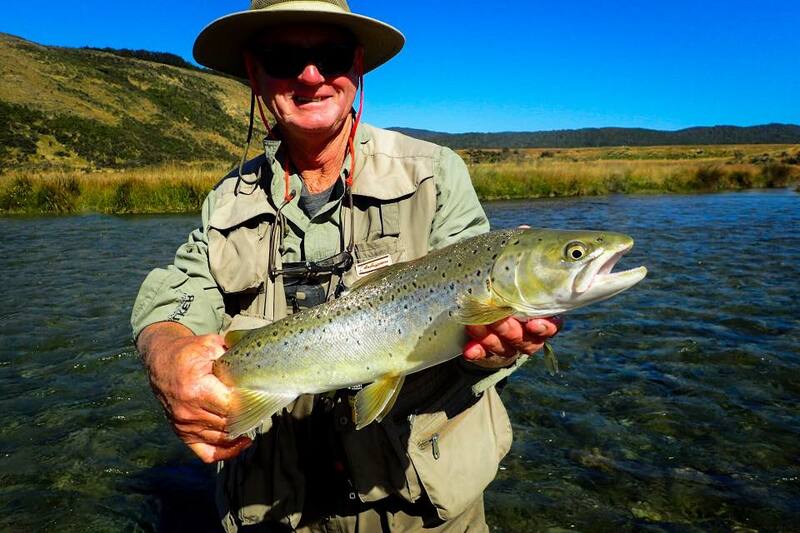 We know every drop off, snag, seam, bubble line and many of the resident fish and where they sit at the different water levels and which flies to fish to them and which direction to approach them from. 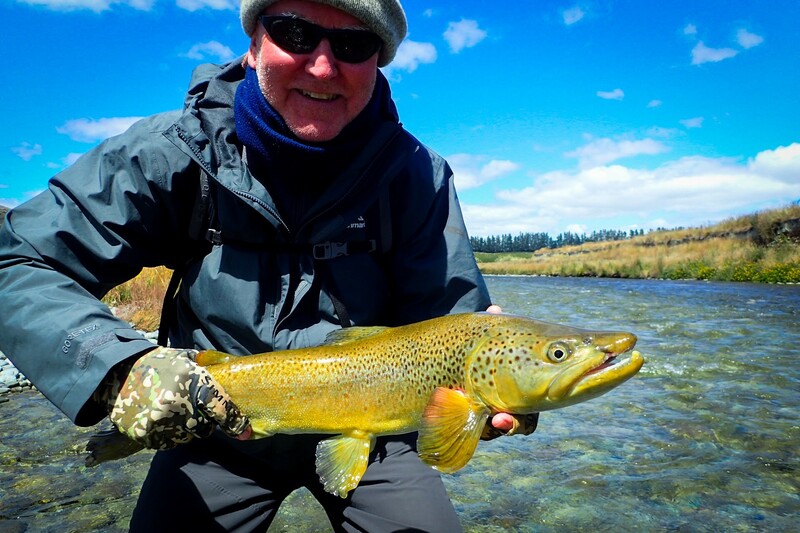 It has taken every bit of that hard earned knowledge to put my clients onto fish each day. 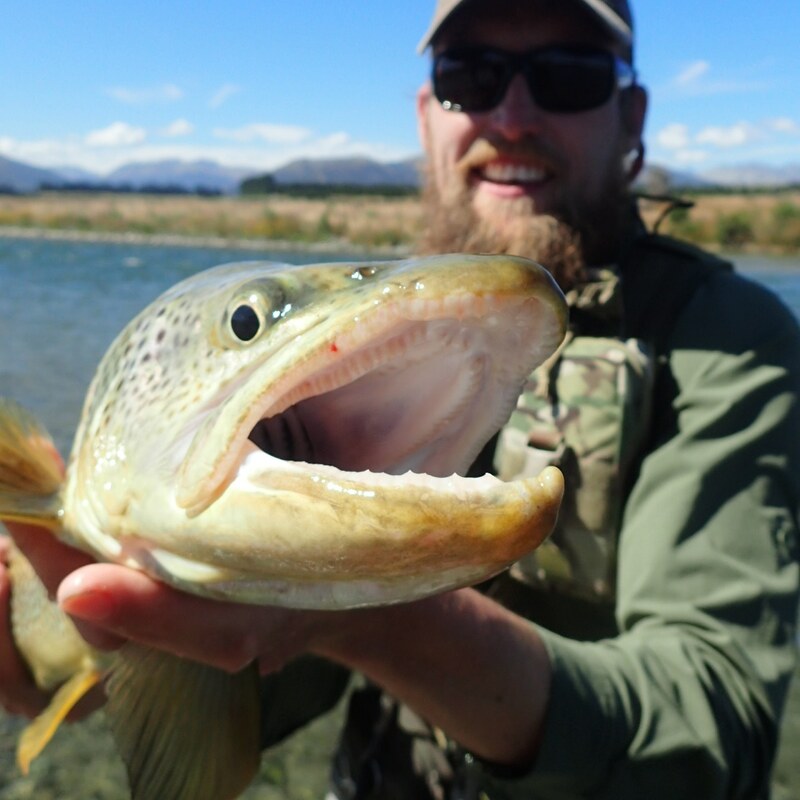 Often involving lots of hard rowing to give them shots at fish in tough slots, and even tacking on extra time to their sessions to ensure that we get fish. What this has translated to is very poor results for those who are unguided on the banks. And this is the very opposite of a sale’s pitch. This is simply a head’s up that it might be better to hold off on coming up this way until you hear of better fishing. It has been that tough. 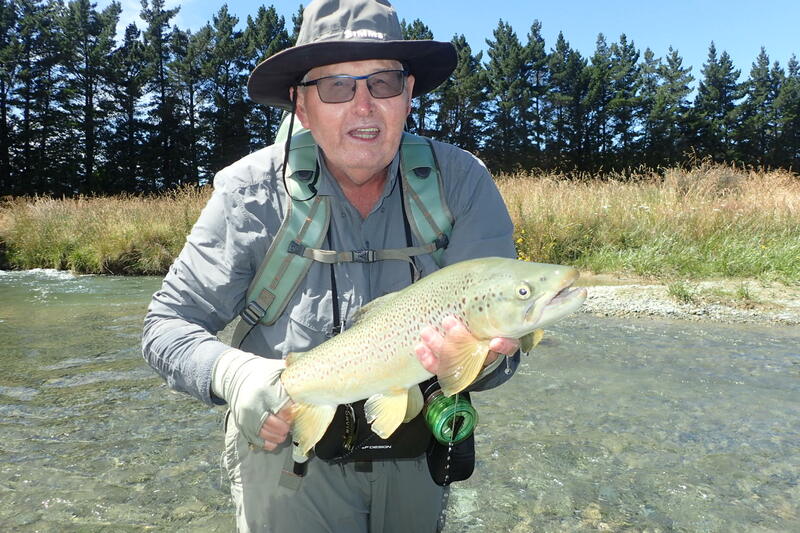 The fish that I am finding, are changing positions from day today despite the river being steady for sustained periods. 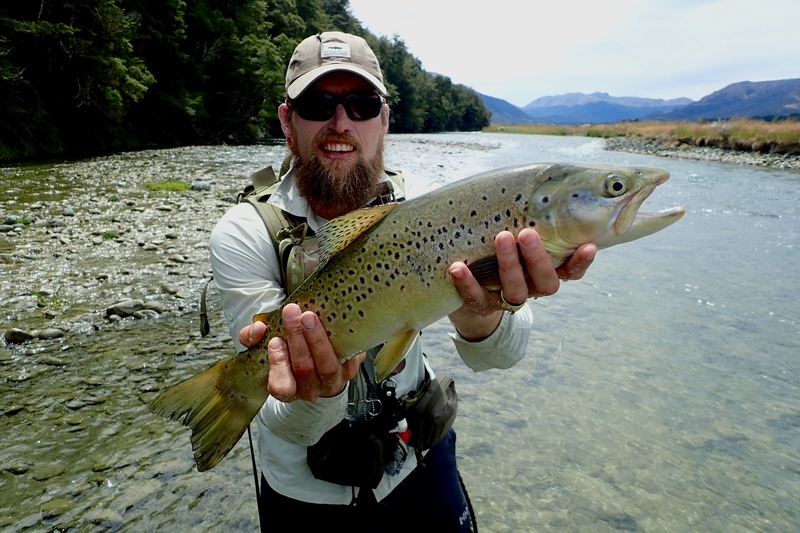 Right now it dropped to 5000 ML/ and this has resulted in some better fishing from the drift boat. But the jury is out as to whether this situation will last. 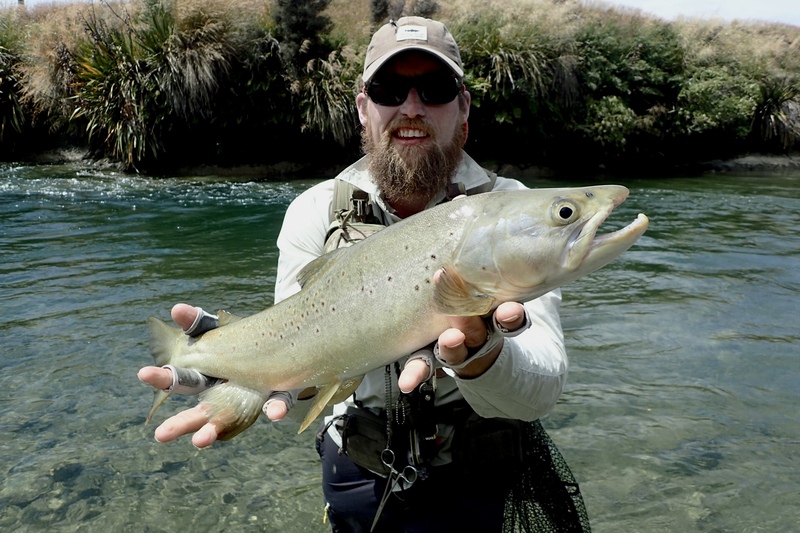 Most fish have been taken on larger dry flies, with only a few requiring scaling back to tiny dries and or/nymphs. 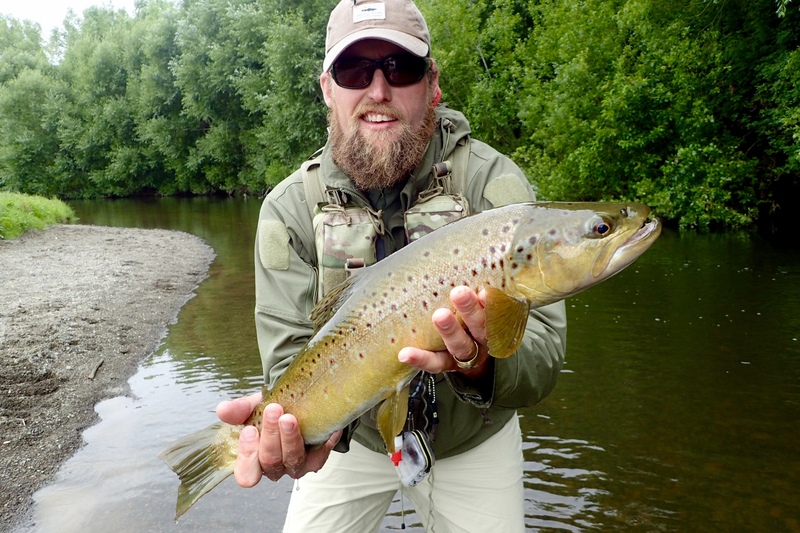 Ninety percent of the fish we’ve caught in the past month have been sighted and fished to with dries. Blind fishing has been surprisingly poor. Something you’ll hardly ever hear me say at peak hopper time. 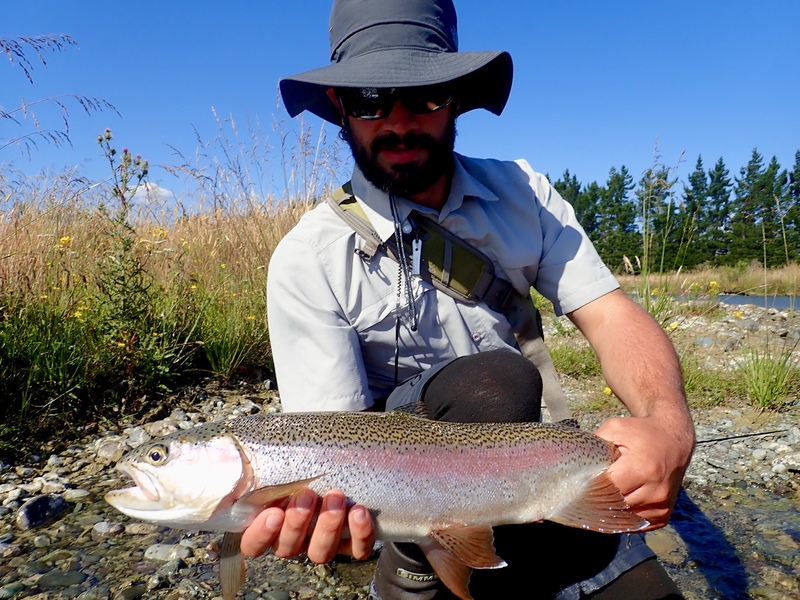 In fact, yesterday Lachie watched dozens of live hoppers drift down a great bank that we regularly stalk, one known to hold numerous good fish; and not a single fish rose. So if you are drifting with me in the coming week or so, you can expect a lot of unorthodox use of the drift boat to access places and water that most a/ wouldn’t think to fish and b/ wouldn’t think that a drift boat could get into. 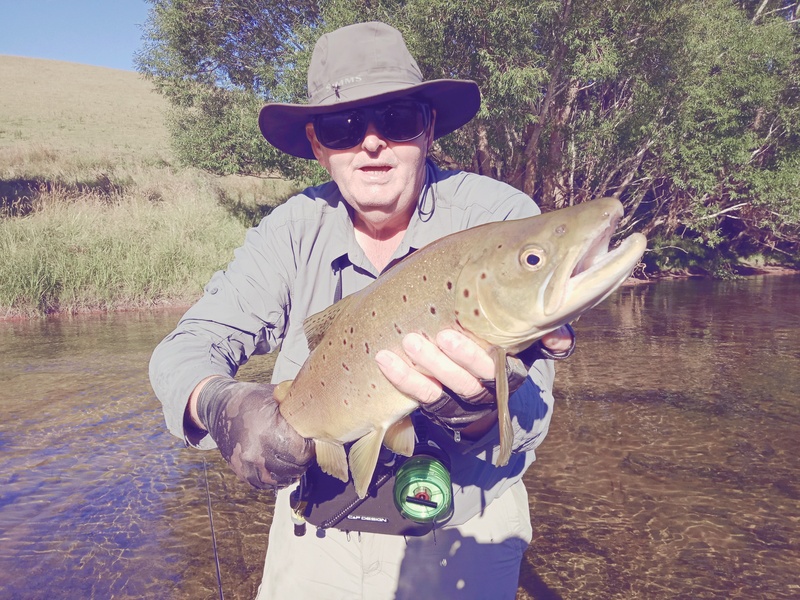 It’s just part of finding fish for our clients in what is most definitely a tough spell on the Goulburn despite perfect water conditions and temperatures. On another note, we are offering a very special trip to Khancoban in late April that will bring many of our guides from the past 25 years together. 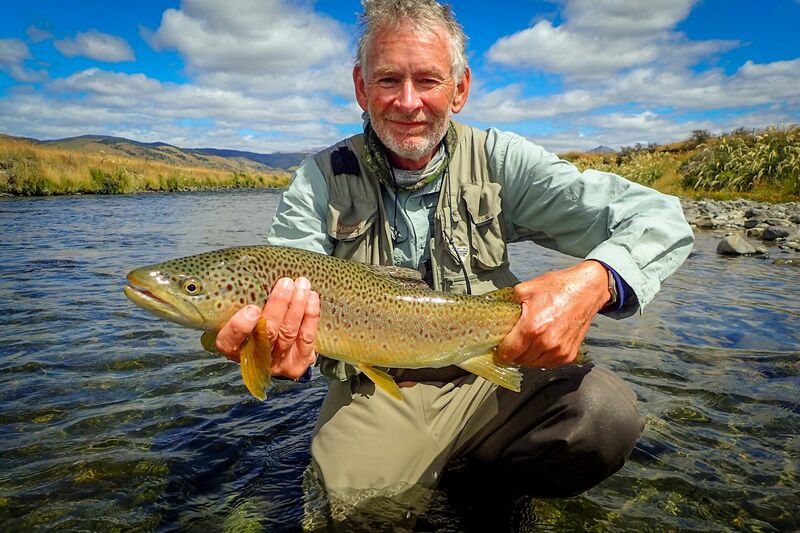 It runs Sunday morning to Saturday afternoon, includes six nights of accommodation, five full days of guided drift boat and wade fishing, all meals, transport and flies. 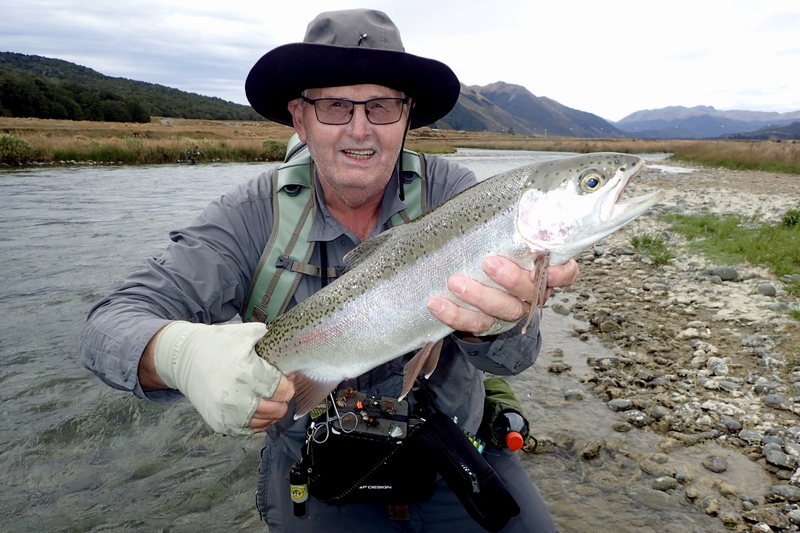 The guides scheduled for it are David Pickering, Geoff Hall, Bo, Lachie and yours truly (Antony). 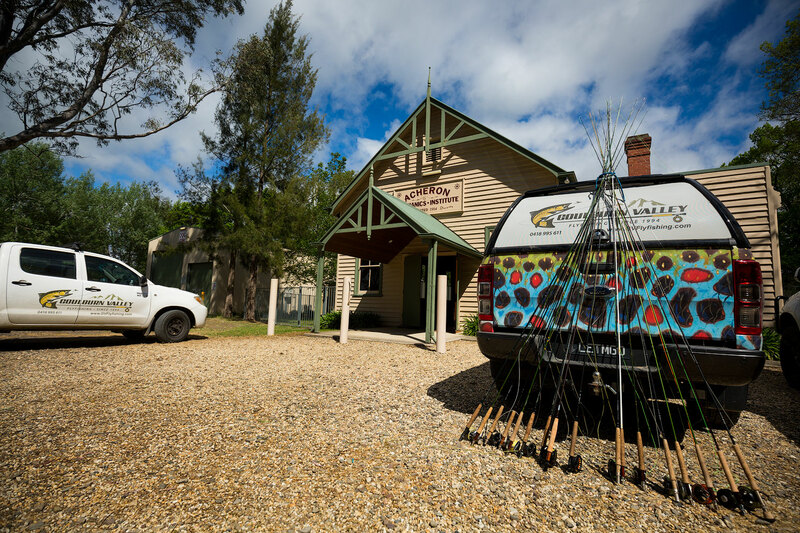 It will be a great week of fishing, socialising and brushing up on skills, with a huge amount of experience between the guides. If you wish to learn more, please visit the trip page located here. 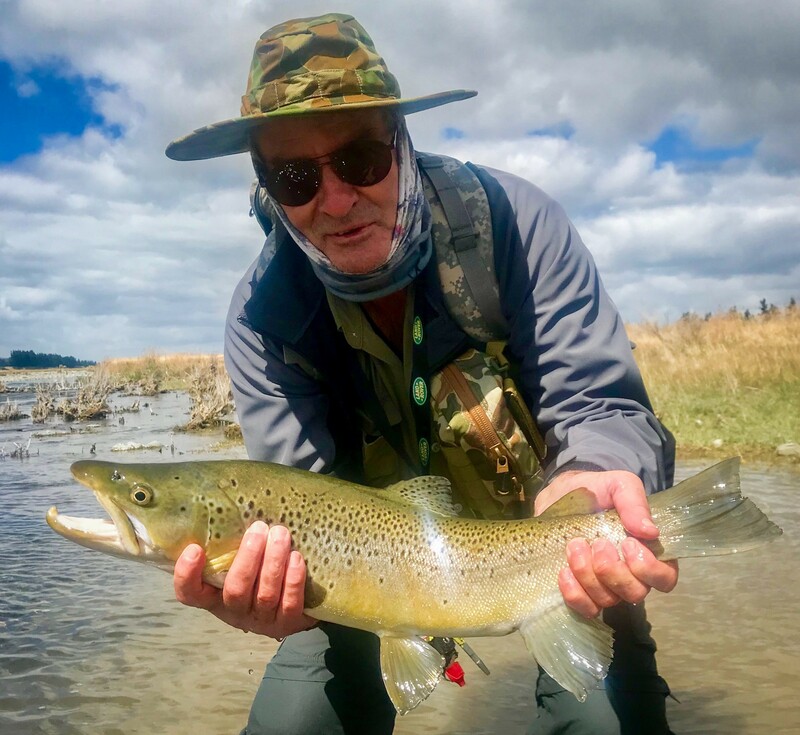 At $2,700 on this the maiden trip, it represents incredible value for money and a chance to experience from good autumn fishing with a relaxed group of like-minded people. So all in all, here is the verdict on the current conditions. 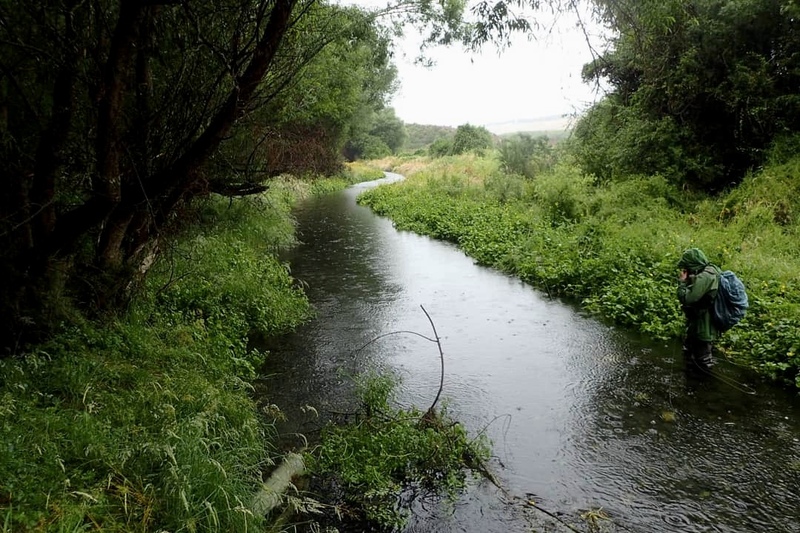 Some of the smaller streams are ok. Many will be faring better after this cooler break, but will quickly warm after a few days of 35-40 degree weather. Early mornings will definitely be best. 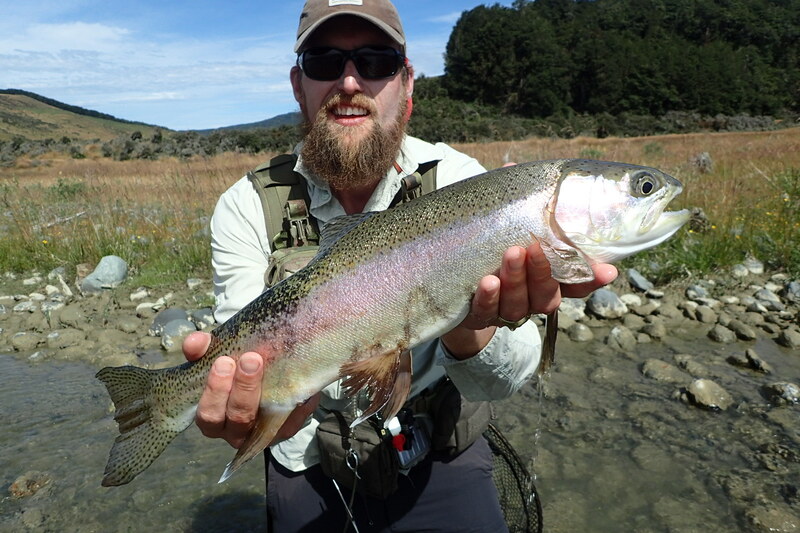 The Goulburn is very tough and for day trips walking the banks, is just not worth the effort right now. This can change quickly. But I wouldn’t waste my time until you hear differently from us. Thanks to all who support our business by engaging our services. 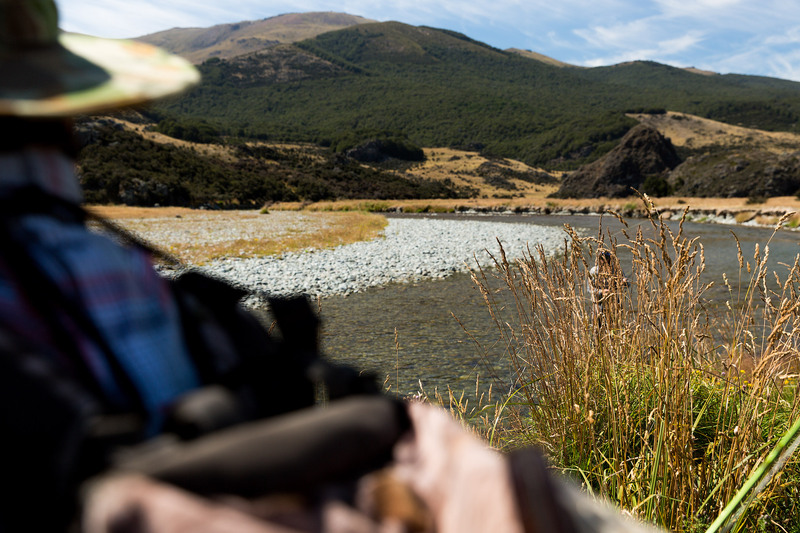 Whether it’s a drift boat trip or a week in New Zealand, or anything else in between. We appreciate your support and are thankful to have such a wonderful base of supporters and friends to fish with and call friends. Don’t forget that you can phone for information or assistance any time of the day, any day of the week. We are always here to help and it doesn’t have to be regarding a paid trip. 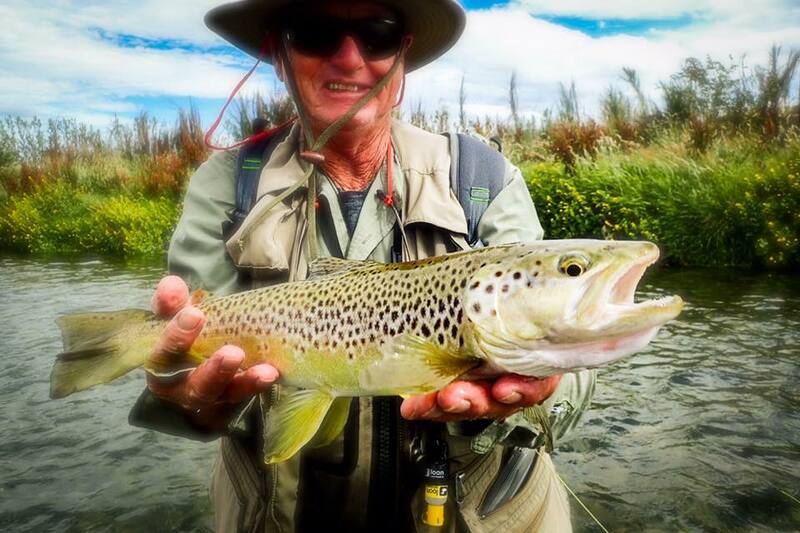 You can call us up about anything fly fishing related. 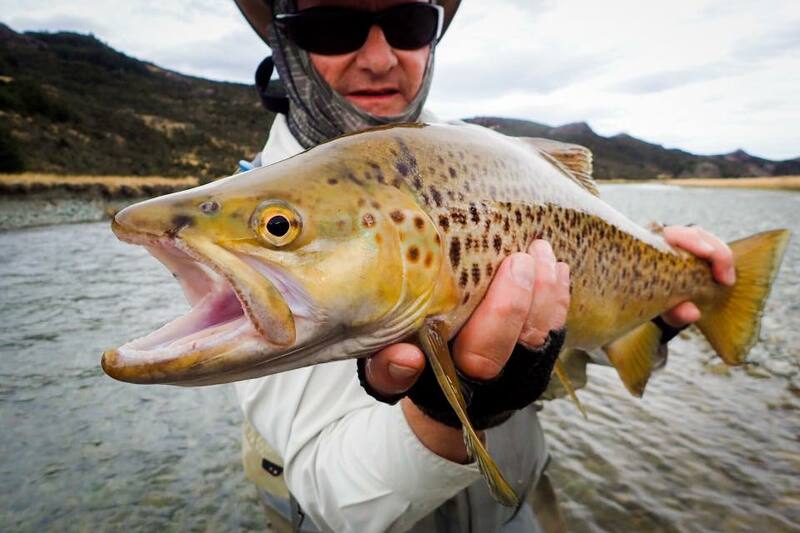 Whether it’s advice on fishing destinations for a trip you are planning, info on flies, techniques, gear; or even if you are having trouble catching a rising fish and need advice or even just a pep talk! 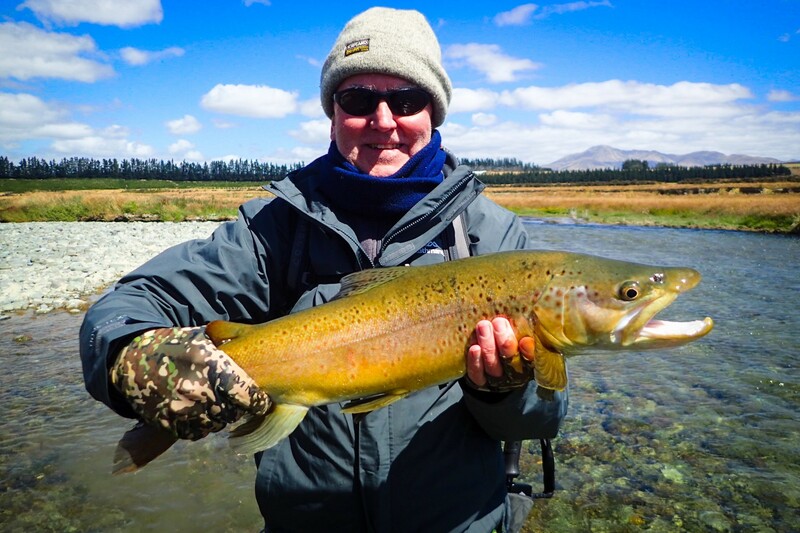 See you on the water and don’t forget about our New Zealand and upcoming Khancoban trip if you want to do something special. Yes it’s been a great summer in New Zealand with plenty of great fish eating dry flies. Not to mention the air temperatures that have been half of what we’ve been seeing back here in Australia. 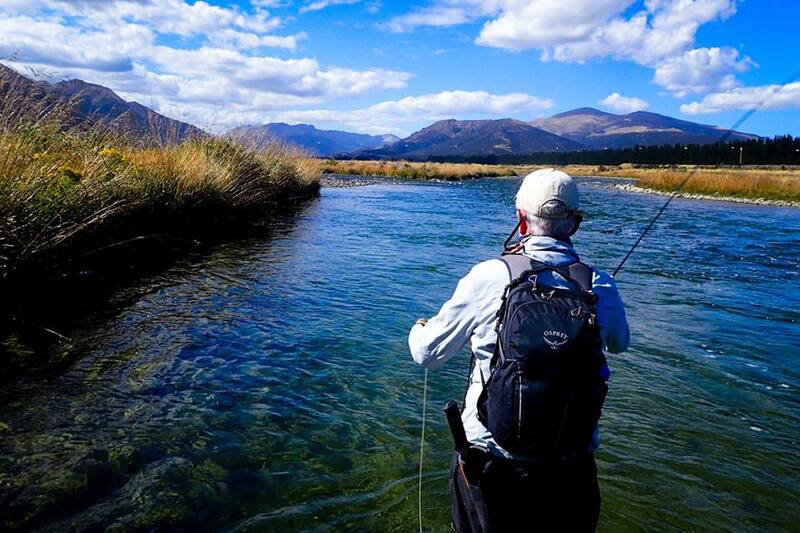 Just perfect conditions for fishing. 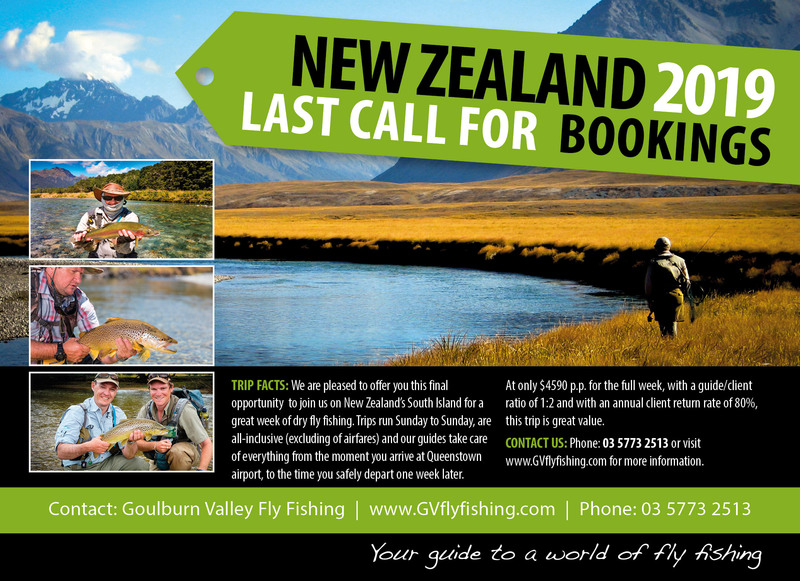 If you want to jump across and fish with Bo, Lachie and me (Antony), now is the time to phone us. 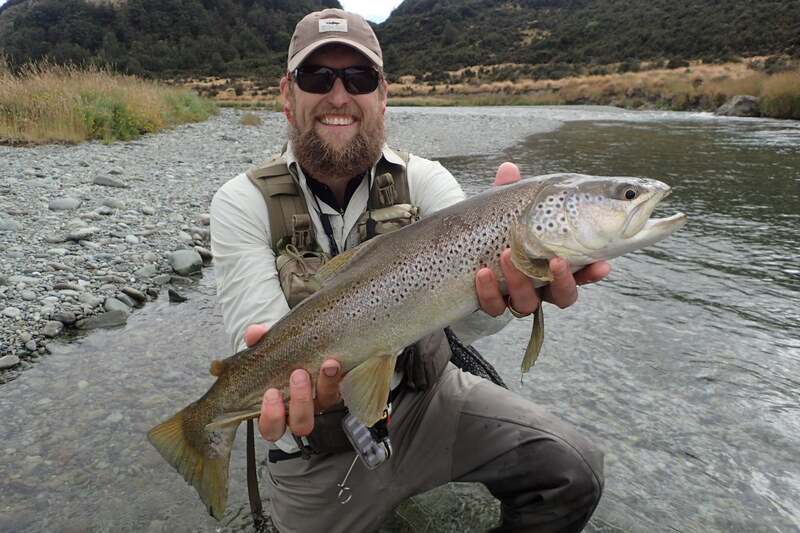 The last few spots will fill in the coming weeks and that will be it until next season. 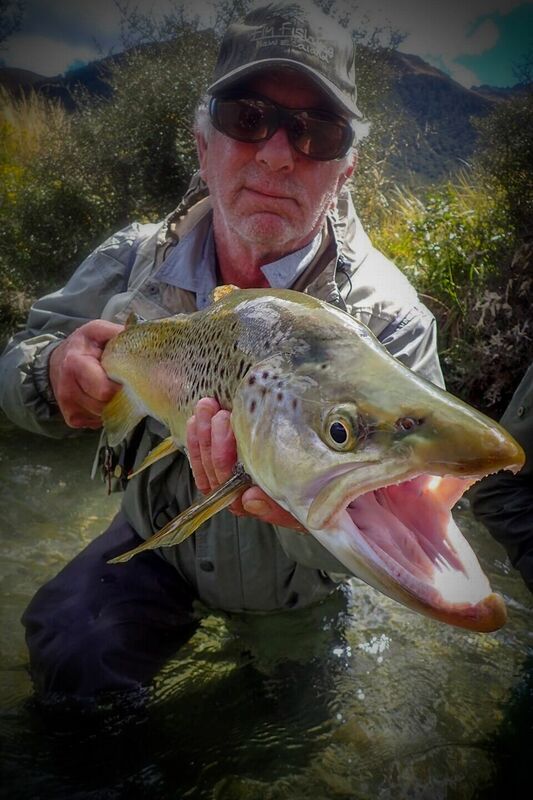 If interested, visit the our NEW ZEALAND TRIP PAGE. If not, just scroll down for a look at some of the pics from recent weeks. 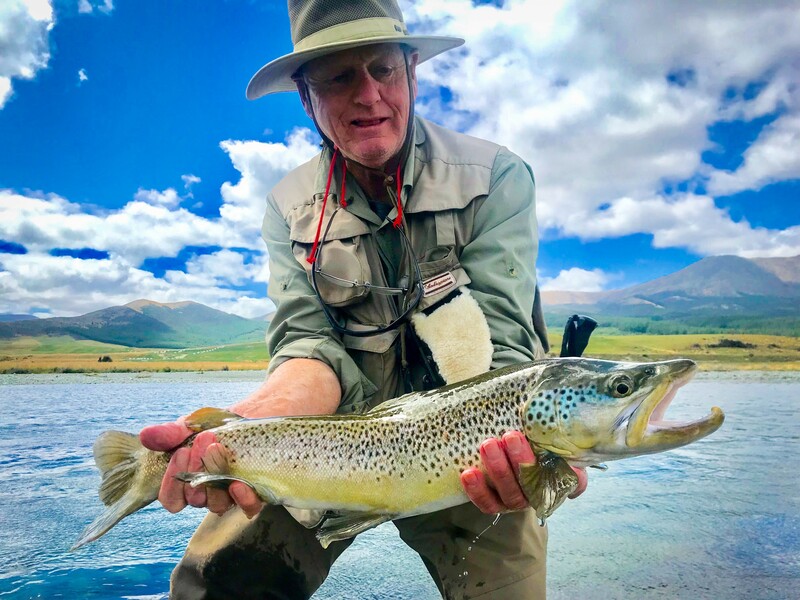 We have been writing online fishing reports for the past 22 years and over that time we have taught, helped and guided thousands of fly fishers to achieve their goals in the sport. 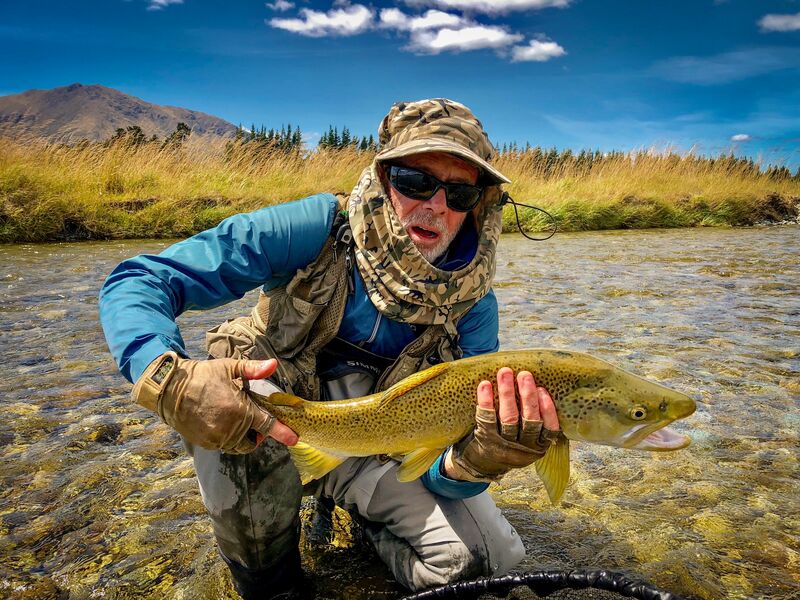 Most have gone on to be highly proficient fly fishers; some have become some of the very best in the sport. 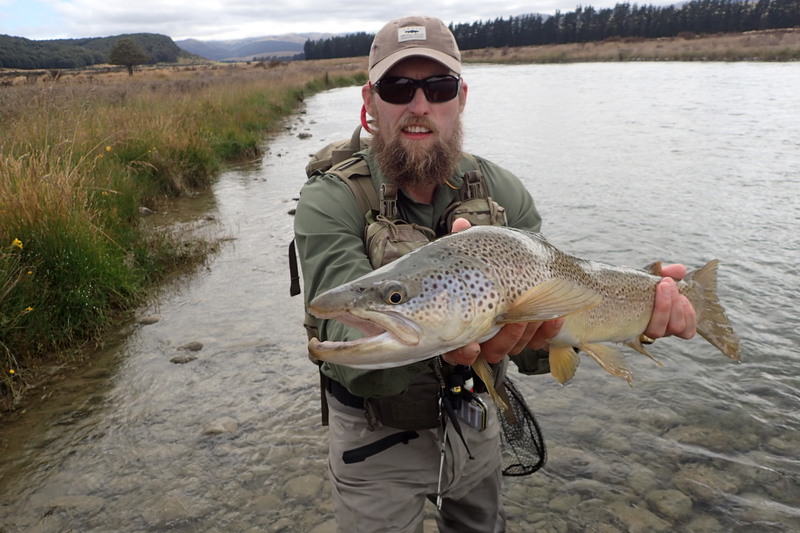 About 18 months ago we took the difficult decision to take our fishing reports and go private. That is, to make them for members only. Unfortunately, there were other operators using our reports as the basis for their own guided trips, and there were people that were just flat out stealing our images and content and reposting it on their own websites. Yes, you read that correctly. They would copy and post the pics that I took that very day of my clients, on their own Facebook pages and try and pretend that they were successfully operating up here. # Insert face firmly into palm. The good news is that these unscrupulous people have nearly all moved on to the next ‘get-rich-quick’ scheme. #Mission Accomplished. And not in a George W Bush kinda way. I’m speaking George Washington kinda way here. As you’d imagine, building this website required a significant kind of investment of both time and money. I couldn’t do it myself, and despite being quite skilled with the technology,I was not confident in doing the coding for these changes. At least not to the level where I would trust it to work reliably for you guys. Hence the idea for the paid subscriptions started to take root. It was merely a way to pay for the website build, and the subsequent upkeep on the site, while ensuring that the information contained therein, remained accessible only to members. To do this we made the join up fee $149 for the first year, and $99/year thereafter. 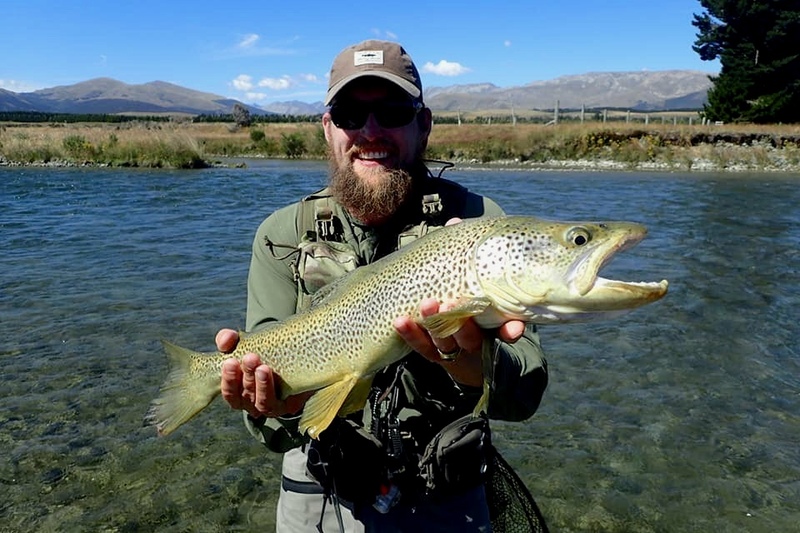 You can learn more here http://gvflyfishing.com/become-a-member We figured that our writing, photos and general content was worth the cost of a cheap imported trout fly per week, and we thought that our true supporters would not hesitate to pay that small amount to help take the reports private. The response from all of you has been overwhelming. And so, as we approach 2019, after starting out in 1994, we have a website just for you guys. A place where only a small group of people have access to all this quality information, that cannot be sourced elsewhere. 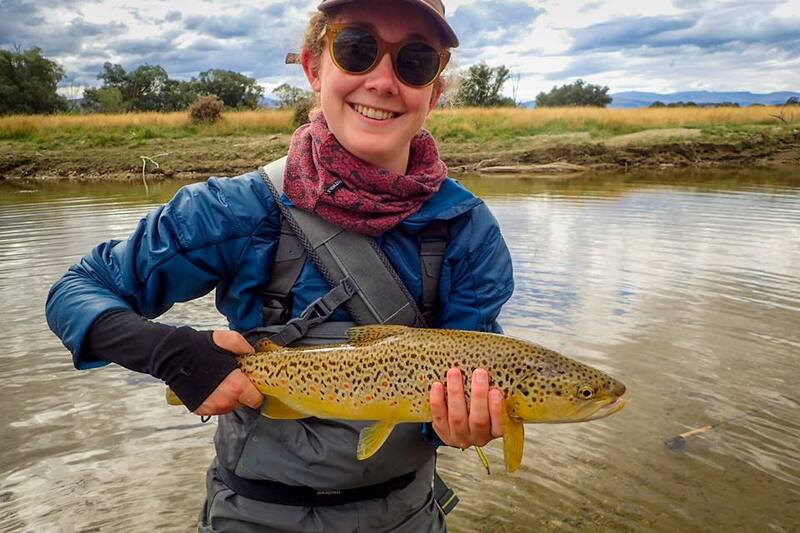 There is no one else capable of reporting on this river as we do, and while we thought that some people would try and fill the void our absence created, and yes some did try for a short period; none of them have anywhere near the experience or understanding of how this system works. How can they? 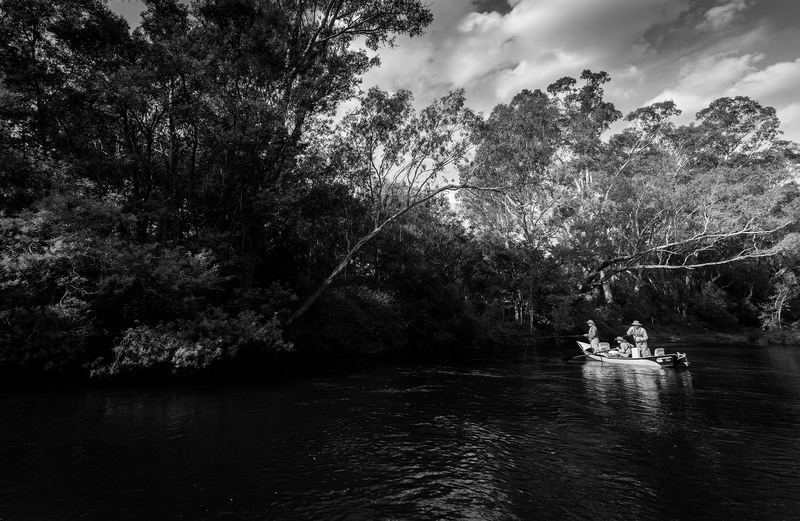 We been guiding on the Goulburn River every day, for over 24 years. Hope to see you on the water soon and all the best. Antony and the GVFFC team. 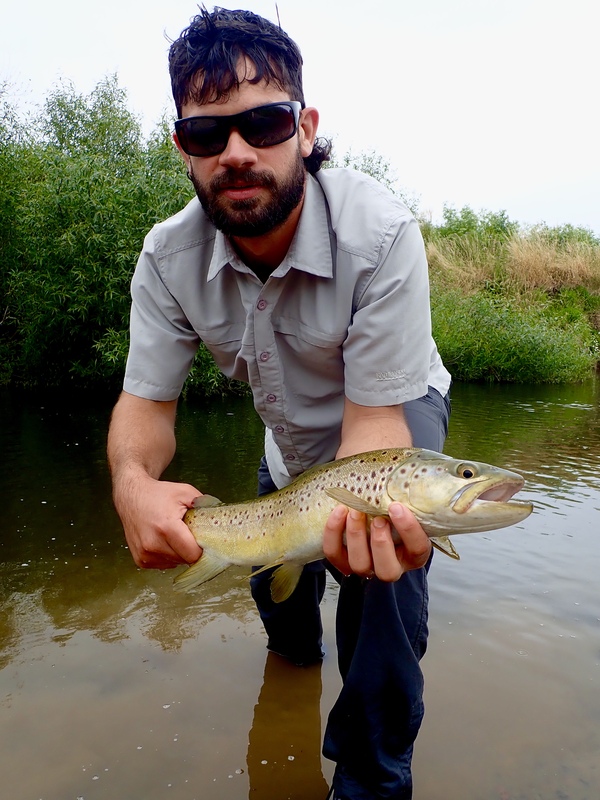 Click here for today’s updated fishing report. P.S. 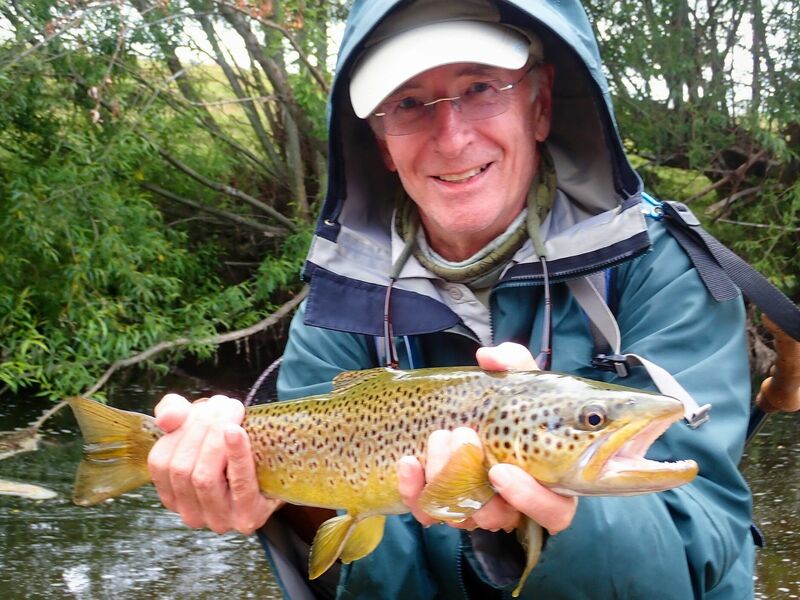 The other way to become a Member is to book a guided session/trip with us. Anyone booking a session with us in the 2018-2019 season and beyond, will automatically receive a complimentary membership upon request.